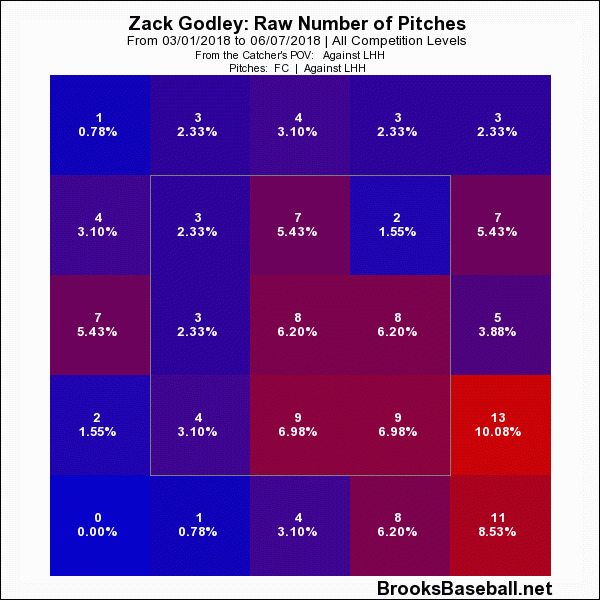 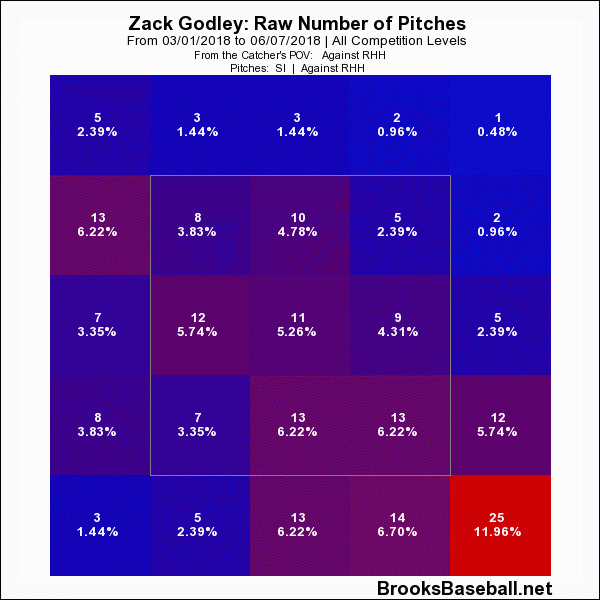 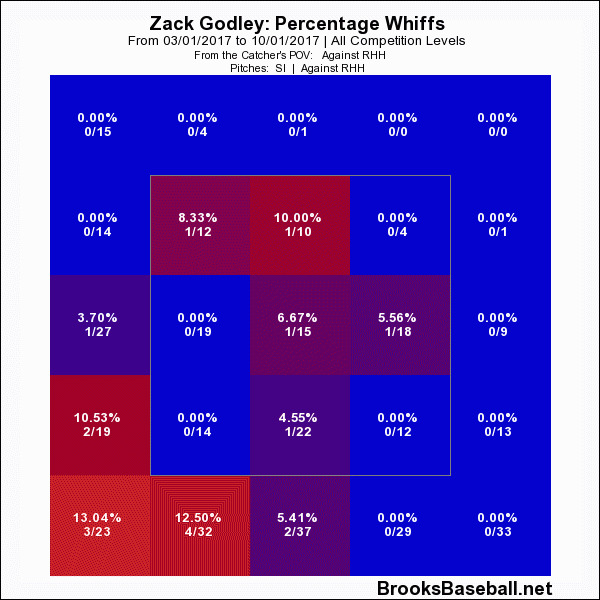 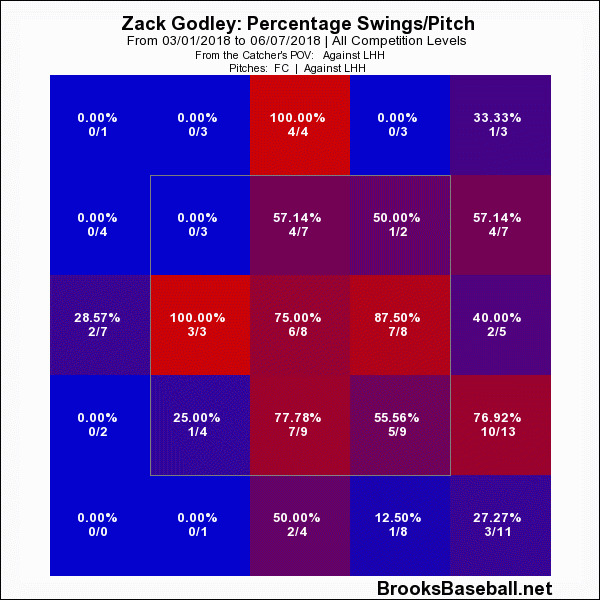 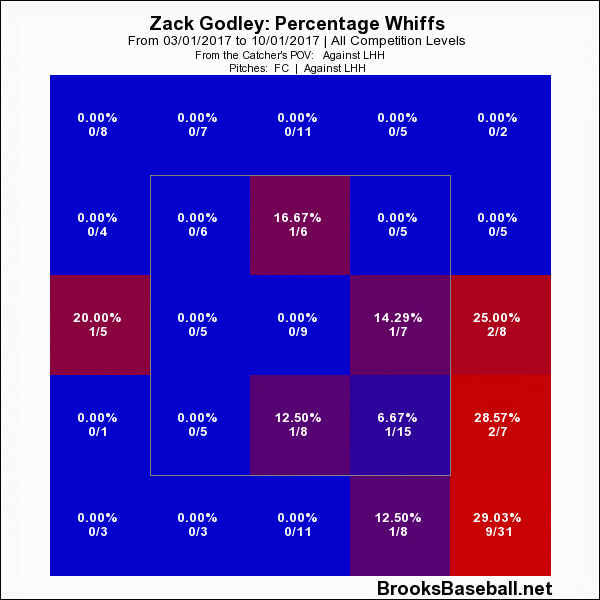 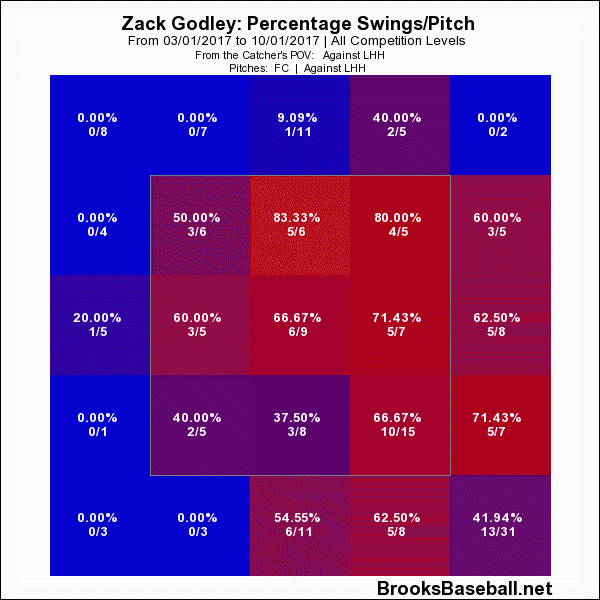 We hoped you liked reading Zack Godley Is Going Sideways by Snerd! 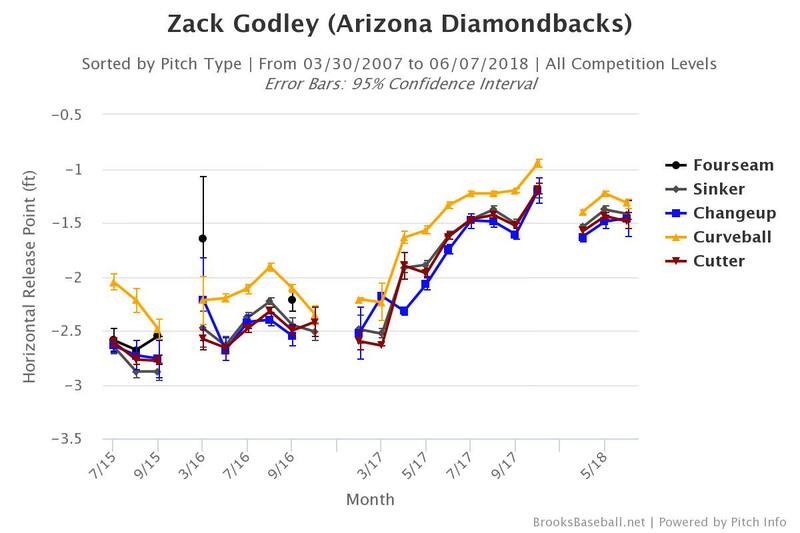 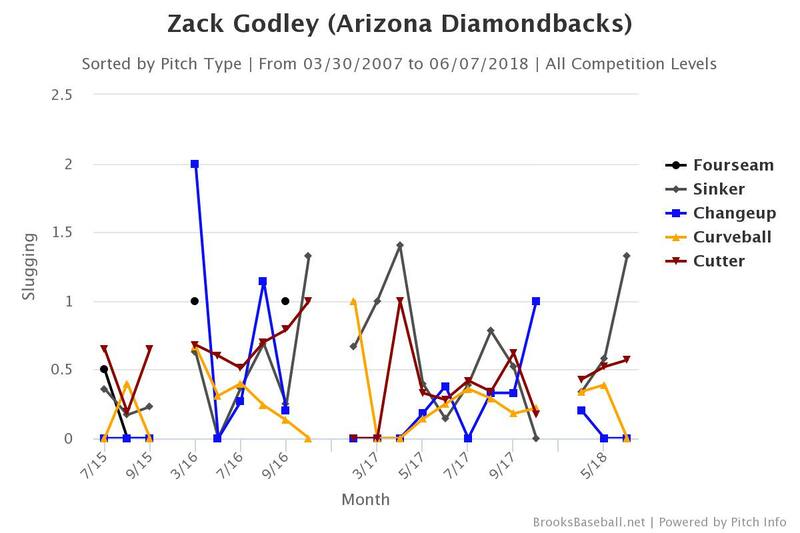 Interestingly, horizontal release point doesn’t really tell you whether someone is throwing sidearm—that’s more vertical release, and Godley’s has stayed constant. 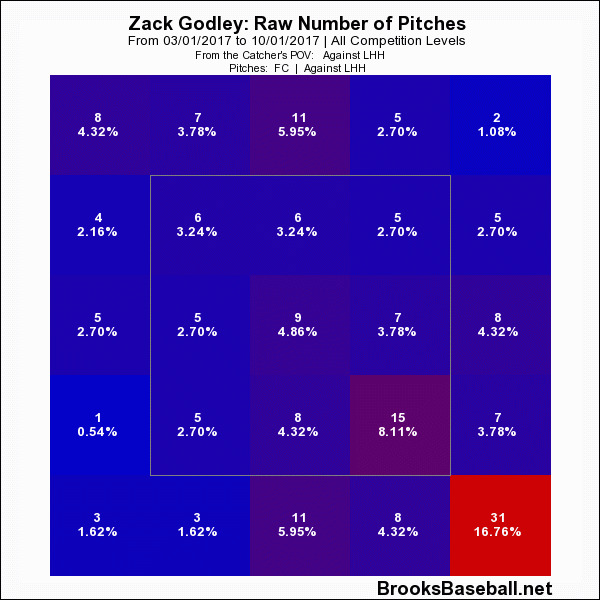 Horizontal release point tells you he’s moved towards the first base side of the rubber. 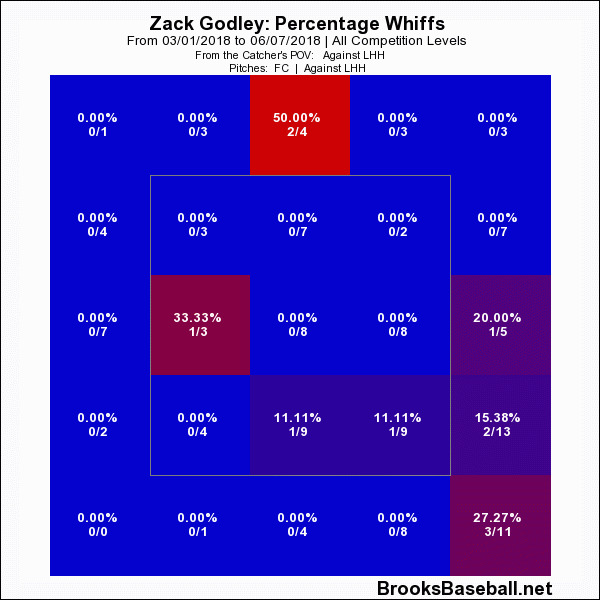 which…seems like a strange choice for a guy who wants to angle his cutter in on lefties, but I don’t think it matters that much.